On August 17, 2018, Mr. Ruj Herabat, Deputy Governor of the Metropolitan Electricity Authority (MEA) along with the MEA executives and staff, attended the press conference of the IEEE PES Generation Transmission and Distribution (GTD) Grand International Conference and Exposition Asia 2019 at the Plaza Athenee Royal Meridien Hotel. 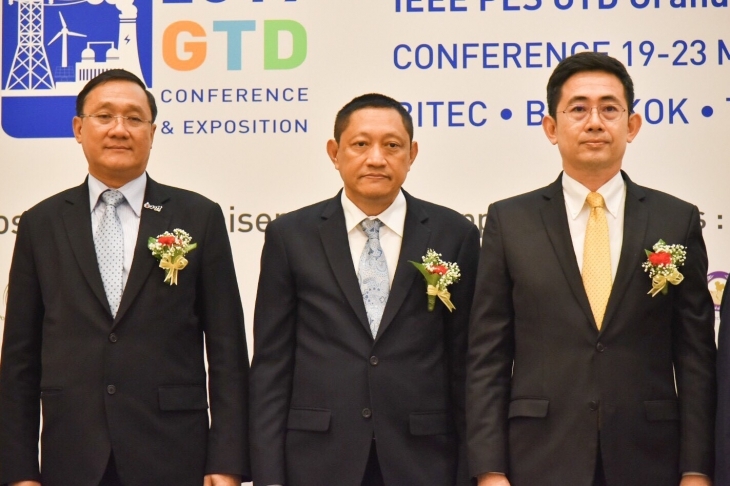 This grand event will be held from March 19-23, 2019 at BITECH Bangna, Bangkok, in which representatives from the Office of Energy Policy and Planning (EPPO), the Electricity Generating Authority of Thailand (EGAT), the Provincial Electricity Authority (PEA), and PTT Public Company Limited also participated. MEA, as one of the world’s leading power utilities which distributes electricity in Bangkok, Nonthaburi and Samutprakarn, has provided full support as Supporting Utilities Sponsorship and also co-chaired the event. The exhibition’s content includes power generation, transmission and distribution technologies as well as renewable energy and related industries. This huge event will be the first time in Thailand and in Asia after more than 40 years continuously held in the United States.